Our relationship with Rogue developed in the early days of the CrossFit Games, building Rogue equipment at all hours of the day & night. ​Since then, Rogue Fitness has exploded and is taking over the fitness world. 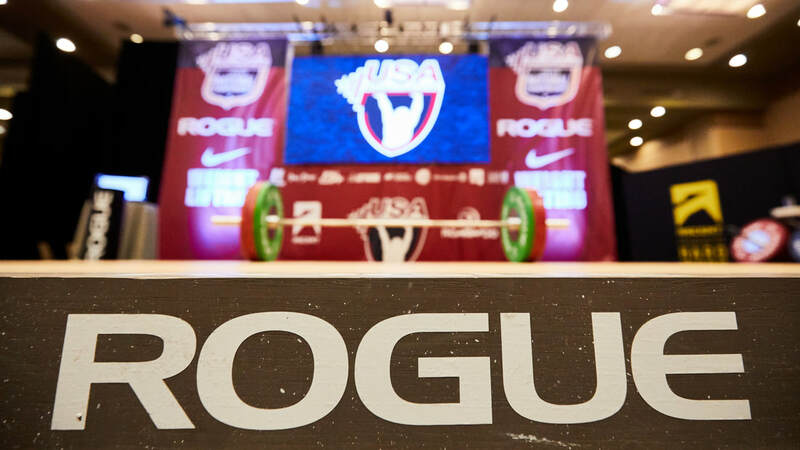 Framework Events signed an agreement in 2016 to manage the Rogue operations at all of the USA Weightlifting National Championships, as well as the Pan Am Games and IWF World Championships Training Camp. Our staff manages and sets up the gear for each competition including the Training Hall, Warm Up Area, and Competition Platforms. We also perform quality control & equipment safety checks, inventory management, logistics and shipping, on-site setup and teardown. Additionally, Framework Events will manage operations, ticketing, sponsorships and vendors, hotels and more for the 2019 Rogue Invitational. ​Click the Rogue Invitational logo below to learn more about the event. We are proud to work with and represent Rogue Fitness.